True Detective season three is on the right track. When Mahershala Ali joined the cast of HBO’s True Detective season 3 in a lead role, the news was both welcoming and surprising. Ali was coming off critical acclaim for his work in Moonlight and was already performing in a strong supporting actor role on House of Cards. Ali seemed like the perfect fit for True Detective in that he was a popular actor who had the name recognition to bring new fans to the series while also giving the show some needed star power. After five months or so, Ali finally has his co-star and co-detective in the Ozarks. Entertainment Weekly is reporting that Stephen Dorff will be joining Ali on True Detective season 3. Dorff has previously starred in Blade, World Trade Center, Immortals, and a host of other movies. Together, Dorff and Ali will be the newest detective duo on the show following in the footsteps of the terrific Matthew McConaughey and Woody Harrelson in season one and the less than terrific Colin Farrell and Rachel McAdams in season 2. Here is the description of Dorff’s character, which doesn’t exactly give as many clues. 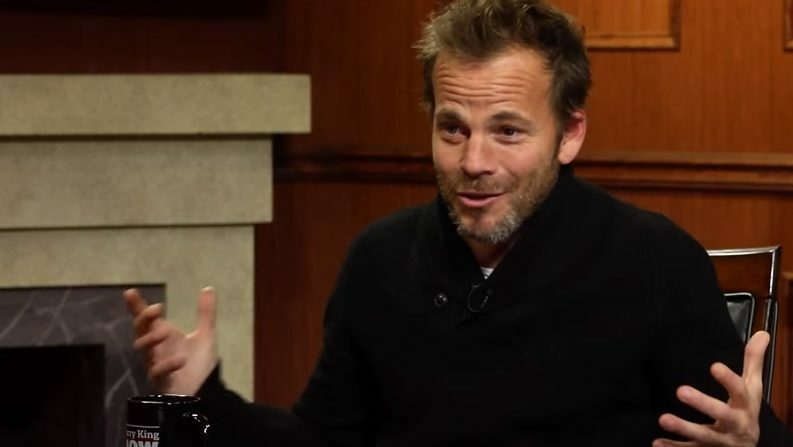 Dorff will play Roland West who — along with Ali’s character Wayne Hays — has his life and career influenced over three decades by a baffling crime. In the same article announcing Dorff’s addition to the cast, EW also named Carmen Ejogo as another addition to the show. Ejogo can be seen in Selma, It Comes at Night, and the Fantastic Beasts and Where to Find Them series. Going back to Dorff and Ali, it’s safe to say the third season’s detective duo is probably the weakest in terms of star power in the show’s history. Before even airing season 1, HBO’s decision to cast McConaughey and Harrelson was a bold move and arguably jumpstarted the trend of well known movie stars joining TV shows for short runs. From there, HBO brought on a group of brilliant actors and actresses in Farrell, McAdams, Taylor Kitsch, and Vince Vaughn for the show’s second season. But that season bombed, and after its conclusion, many wondered whether the cable network would even try and bring back the series for a third installment. After quite some time, that did happen and now HBO is going about the casting as it did with season one: some well known names surrounded by a cast of lesser known actors and actresses. As a huge fan of season 1 who (naturally) was disappointed by season 2, I have to admit this news is refreshing. After season one’s brilliance, I was intrigued by season two’s star power. The way season 2 played out and the fact that the season wasn’t nearly half as good as season 1 made me wonder if it was worth it for season 2 to feature all that star power. This is why season 3 and the names they are bringing on excite me. What made the first installment in the series so great was that many of the actors were men and women I didn’t recognize and I didn’t immediately have opinions on. Actors such as Michael Potts, Tory Kittles, J.D. Evermore, Kevin Dunn, and others played such strong roles in the first season, and my limited previous knowledge of them made it easier for me to take them seriously in such a dark show. That wasn’t the same in season 2. No offense to Vince Vaughn, but it was hard to look at him as this serious criminal after seeing him crash weddings with Owen Wilson. No offense to Rachel McAdams, but it was hard to see her as a serious detective after watching her in rom coms (though she was terrific in Spotlight). My point here is the fact that I have barely seen the work of Dorff and Ejogo means HBO is going back to its season 1 casting style. True Detective is a dark series and complex watch, so to see it with previous knowledge of some of the actors in season 2 might have been its downfall at least to me. But now that season 3 is coming back with actors that people such as myself might not have preconceived notions about could be the way in which the series is revived and made great again.